Penguin Random House and Exclusive Books Somerset West invite you to the launch of The Tortoise Cried its Only Tear by award-winning author Carol Campbell. Carol will be in conversation with Nancy Richards at the launch. 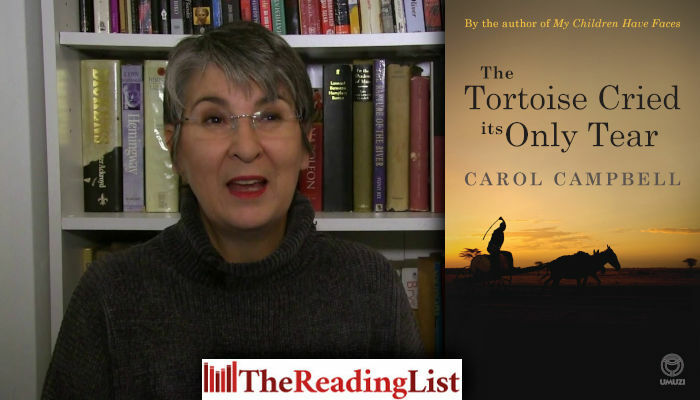 The Tortoise Cried its Only Tear is Carol’s third book on the Karoo. Like her previous work this story is a piece of social realism but, for the first time, she introduces hints of magical realism – which is very much in keeping with the world view of the people she writes about. Ook beskikbaar in Afrikaans as Die skilpad se laaste traan.